The ASBOF is a forum that was established to allow practitioners of Anti-Social Behaviour to get together to share experiences and examples of good practice, and to discuss relevant issues. Contact the Chair Fiona.alder@fife.gov.uk for more information. The ASB Lawyers’ Forum was set up to promote good practice within the ASB area of business. The Scottish Community Warden’s Network (SCWN) has been in existence for 12 years and is a networking and practice sharing space for community wardens in Scotland as well as providing the opportunity to receive free training and inputs from various organisations on issues that impact the network. Contact the Chair Lisa.taylor@fife.gov.uk for more information. The Community Planning Manager’s Network is a networking and development space for community planning managers in Scotland. The Community Safety Partnership (CSP) lead officer regional groups are a place for CSP lead officers and other partners to share practise, hear about the recent and future work of SCSN and the Building Safer Communities team at Scottish Government and the opportunity to work through any issues and discuss emerging concerns/developments. Contact info@scsn.org.uk for more information. The Partnership Analyst Forum is an opportunity for analysts working in partnerships in Scotland to come together to share learning and practise, and hear inputs from people on new analytical techniques and data. We also offer a safe space to discuss and, if necessary, progress any challenges being faced by the sector. We also work closely with the Local Analysis Research Intelligence Association (LARIA) in Scotland. Contact Hannah.dickson@scsn.org.uk for more information. 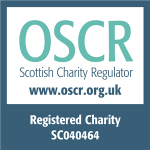 BSC Partners group is an opportunity for all the organisations funded by the Scottish Government’s Building Safer Communities (BSC) team to come together and share recent and upcoming work and discuss opportunities for collaborative working across their different portfolios. 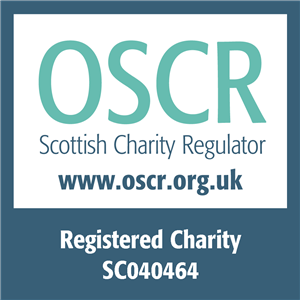 The group is comprised of SG BSC team, Crimestoppers, RoSPA, SCSN, Neighbourhood Watch Scotland, Scottish Business Resilience Centre, Scottish Gas Network and also attended by Scottish Fire and Rescue Service and Police Scotland. Contact info@scsn.org.uk for more information.